The photo above sounds great for my taste buds but maybe not my well-being. In last week’s post we talked about a Paleo Checklist. It is the idea of having a well-rounded and overall healthy lifestyle. One topic we covered explained the importance of balance; balance in life and in our diet. We talked about treating Paleo Desserts like any other dessert. While almond flour and coconut flour are great substitutes, they are also very high in fat and processed sugar – two things our bodies will store as fat if they cannot be used as energy. But what we also talked about is enjoying life, which is why we want to share the best cookie recipe with you today, and remind you to treat these cookies just like you would for any other diet – have one! Keep in mind; eliminating processed food is extremely beneficial to our health, however if we create a bad relationship to food with overconsumption then we are ignoring the true issues at hand. 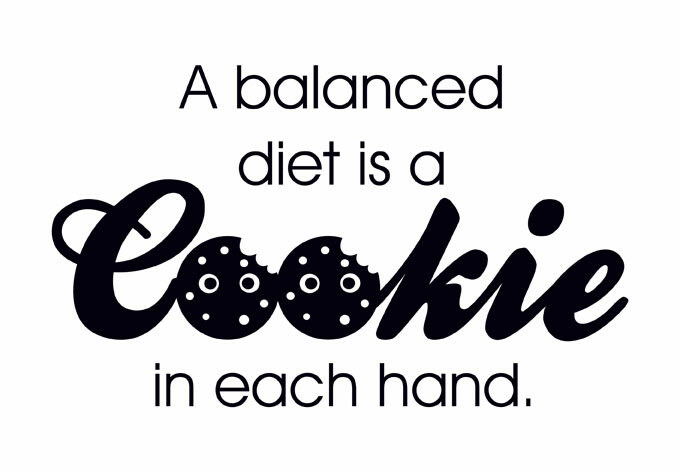 Now that we have this great reminder, we figured you were all ready for the best Paleo Cookie Recipe. Mix together your almond flour, baking soda, and sea salt in a bowl. In a separate bowl mix together your melted coconut oil, vanilla extract, maple syrup and egg. Mix wet and dry ingredients and add chocolate chips. Cover and store in fridge for 30 minutes. Preheat oven to 350F. Place cookies on non-stick cookie sheet, or apply oil to cookie sheet to avoid sticking. Roll cookie dough into even sized balls and line on cookie sheet. Place in over for 5-7 minutes, remove and flatten top with spatula, then place back in the oven for 3-5 minutes. Let cool and enjoy in moderation!